It’s so much easier to prevent illness than spend time on visits to the doctor’s office and go through endless rounds of antibiotics that often don’t really work anyway! While a lot of kids don’t need much more than whole foods, play, and love to be healthy all year, some kids are prone to colds, sore throats and strep, coughs, ear infections, sinus infections, and flu, making their autumn and winter — and yours, a lot tougher than it has to be. It can sometimes even be downright miserable with missed school, missed special events, and missed work for you. Also, feeling sick is a bummer for your kids, and it’s stressful as a parent whenever our kids don’t feel well. Further, in young children, over-the-counter and prescription cold medications have been a leading cause of adverse events and even deaths, so we need safe, gentle options for preventing illnesses, so we don’t even have to reach for potentially harmful medications unless absolutely necessary. If your kiddo happens to be one of those who gets sick more often than you’d like, or if you just want to do some immune boosting, here are my top 7 tried and true cold and flu prevention recommendations for kids. Immune boosting doesn’t just happen over night, so you can start doing these things now, and then safely continue throughout cold and flu season (autumn into late winter/early spring), to boost optimal immunity, ward off illness, and keep your child healthy all year. These tips have good quality scientific evidence behind them, are affordable, safe, and you’ll be happy with the results! Dr. Aviva’s Top 7 Natural Immune Boosting Tips for Kids to Start Now! Eliminate most sugar, and all fruit juice (homemade veggie juice with some fruit is okay a few times per week) and all soda. Eliminate most dairy products (milk, cheese, yogurt) if it tends to make your child get congested or phlegmy. 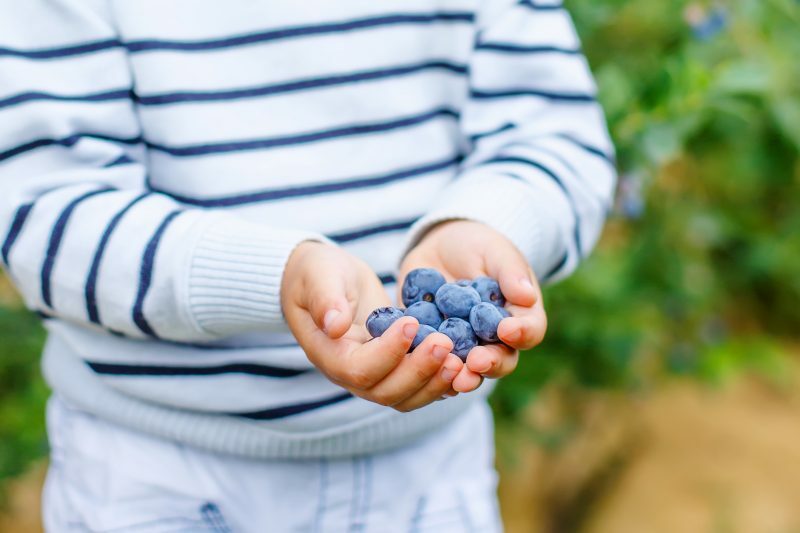 Increase leafy green veggies (kale, broccoli, cauliflower, collard greens) and fresh or frozen berries (organic blueberries, organic strawberries), and make sure your child is getting 2 servings of veggies or fresh fruit at each meal. Make sure you child is getting high quality protein (beans, lean meats, fish, poultry) and high quality fats (olive oil, coconut oil, avocado) at each meal. Zinc is an immune boosting mineral found in oysters, beef, and lamb, and to a lesser degree in pumpkin seeds, cashews, and beans. Taken daily for up to 5 months, zinc reduces the likelihood of viral infections, especially colds, absences from school, and antibiotic use in kids. It can easily be given as a flavored lozenge to older kids; for younger children try a liquid. A children’s or teen’s multivitamin with zinc, vitamin C and vitamin D may contain all that your child needs, so check the label before adding extra. If it does not contain the doses mentioned in this article, then consider supplementing to meet these amounts. A review by the Cochrane Collaboration, a major medical data review group, showed a 13% decrease in cold symptoms in children who took one gram (1000 mg) of vitamin C daily for prevention. The form and dose are “buffered ascorbic acid,” 250-500 milligrams 3 times a day, given with meals. Probiotics, especially lactobacillus taken alone or with bifidobacter – which is another species – during the winter has been shown to reduce daycare absences because of fewer colds, are reduce the incidence of fever, cough, runny nose, and the use of antibiotics. Look for a brand that is in a powder or liquid form for younger children so you can hide it in a smoothie, yogurt, or apple sauce, and that contains Lactobacillus and Bifidobacter strains. Ther-Biotic brand is one example. They also make an infant formula, which you would give to babies (check with your child’s doctor first!) 1⁄4 teaspoon 1-2 times a day, or a children’s chewable that you can give 1-2 tablets a day in children 2 and older. Kids 12 and older can take an adult probiotic. Additionally, for strep prevention, there is a probiotic that’s made for kids called ProbioMax ENT and is in a chewable form – which has been shown to help reduce strep infections in kids. Vitamin D can help support the immune system and is important for overall health. We tend to get less of it in the winter because we’re indoors so much more, and the sun is a major source, so I recommend supplementing starting in the autumn! All babies 1 year old and under should get vitamin D supplementation regardless of time of year. Over 10 years old, 1000-2000 units per day. Using a nasal saline rinse has been shown to reduce respiratory infections in kids significantly. It’s tough with young babies, but kids over 4 can give it a try, and it’s something older kids can get the hang of. You can either go to the pharmacy and purchase a saline rinse kit, or a neti pot. I don’t recommend adding any herbs — just use the recommended saline solution. Use the rinse 2-3 times each week. Echinacea, and the dose of that in kids 2-5 years old is 7.5 milliliters a day. That’s about a measured teaspoon and a half, and you can give that in two divided doses, so about three quarters of a teaspoon twice a day. And then for kids 6-11 years old, that would be 10 milliliters a day or about 2 measured teaspoons twice a day. Use that same dose for kids over 12 and for adults as well. Echinacea has been shown to support the immune system, prevent the frequency of upper respiratory infections and bronchitis, and also prevent secondary infections, so preventing infections from turning into more entrenched bacterial infections. Another herbal medicine called Andrographis has also been shown to boost immunity and reduce the frequency of upper respiratory infections, and also help to shorten their duration when they do happen. And that’s given at 50-200 milligrams a day, generally for 5 days if you’re trying to ward off a cold. If you prefer to listen, check out this episode on Natural MD Radio where I discuss Back to School Immune Boosters. I want you to be able to spend more time with your kids being healthy this autumn and winter, and less time in the doctor’s office! Sound awesome? Want to take a deep dive in learning how to boost your child’s immune system using natural approaches, safely and from home? If YES, check out my online course Healthy All Year. You can study all of this with me and other mommas who share your concerns! Bronstein AC, Spyker DA, Cantilena LR Jr, Green JL, Rumack BH, Giffin SL. 2009 annual report of the American Association of Poison Control Centers’ National Poison Data System (NPDS): 27th annual report. Clin Toxicol (Phila). 2010;48 (10):979-1178. Leyer GJ, Li S, Mubasher ME, Reifer C, Ouwehand AC. Probiotic effects on cold and influenza-like symptom incidence and duration in children. Pediatrics. 20 0 9 ;124 (2) : e172- e179. Smith SM, Schroeder K, Fahey T. Over-the-counter medications for acute cough in children and adults in ambulatory settings. Cochrane Database Syst Rev. 2008;(1):CD001831. I have a 3 year old. What are some brands/product names you would recommend for all of these supplements? Thank you for this timely article! I have a 6 month old and I was just wondering which supplements are safe for me to use to keep her healthy through this upcoming cold and flu season. Are there particular brands that you would recommend? I've been looking for supplements that are as pure and safe as possible for my baby to take. She is exclusively breastfed and I take some of these supplements myself but I'm not sure if she gets any of the benefits of my supplements through my breastmilk. What is the safest way to give her these supplements? Can I mix multiple supplements into breastmilk in a bottle? I've heard that vitamin D3 should be given with K2 for best absorption to the right parts of the body. (I think I read that calcium and potassium also affect vitamin D absorption....) Do you agree and if so, would you go with supplements that deliver both at the same time, like Thorne Research liquid, or TwinLabs dots? That's what we've been using, but it may be for adults. . . Thanks! Hey Michelle- you are right. Vitamin K2 works to put calcium into bones (the bones act as a storage reservoir for calcium), whereas vitamin D helps the body absorb more calcium. Potassium also helps with calcium absorption into the body. Taking large amounts of vitamin D without sufficient K2 should be avoided. Vitamin D acts more like a hormone in the body. K2, not so much. K2's role (over simplified) is to increase receptors for calcium absorption into the bone, so you either have sufficient receptors or not enough (if you aren't taking or eating K2). There is toxicity with vitamin D (really should dose to your specific needs based on labs), whereas there has been little toxicity noted with vitamin K2 (everything in moderation though!). I use a liquid D/K2 with my 4 year old, the only thing is sometimes liquid over delivers, so that is the only thing to watch out for (you give 4 drops instead of 2 sort of thing). Hope that helps! Dr Romm, thank you! Do you have some recommendations for the zinc ? I use a whole food based powder vit C from a company called Synergy vitamins. Would that be a good choice( in the dose you recommended) for my 18 mo? Is that an echinacea tincture? tea? lozenge? thanks! The big question: do you recommend the flu shot? Thank you for such a helpful article about preventative things we can do to help our kids be resilient to illness during the school year. I keep learning more and more about the importance of reducing sugar and including probiotics. This was a helpful reminder to stick with it! Hi, I noticed on the herbs that you did not reference what type of herbal supplements were. tincture, Glycerin, tea, or decotion .... What do you suggest. Thank you for reminding me to get ahead of autumn and winter illness. You recommend Echinacea, but you don't actually mention what form. I can tell you're indicating a liquid... Tincture? Thank you! Thank you Aviva for sharing your wisdom with all of us....I have such gratitude for you & your intensive and continuous research! I Find comfort in your blogs as I did years ago when a trusted professor of mine gave me as a gift your book "the natural pregnancy book" thank you for being accessible to all who are seeking sensible, intelligent, beautiful herbal means of caring for ourselves and our families. ???? Hello Dr. Romm, I am getting ready for the upcoming fall/winter season and I would like to add zinc to my daughter’s supplements this year. She is 2 ½ , so I am looking for the appropriate doze for her (2-3mg daily), however, all the lozenges I find are of a higher doze and, for some reason, I cannot find any zinc in liquid form (which is actually what I would prefer to give her). Any brands that offer the doze appropriate for her age that you can recommend? I greatly appreciate all the invaluable knowledge you that generously give to all of us!!! Thank you!!! What about Elderberry? I've heard a teaspoon a day keeps the immune system strong. But I'm not sure if it has those exact vitamins and minerals. I'd love for my kids to take zinc citrate. The only liquid form I can find is made by Pure Encapsulations but there are some nasty ingredients. Has anyone found something that I could give my kids? They are too young to swallow a pill. Hi! Thank you for the tips! Is there a specific kid-safe product you recommend andographis? Herb pharm makes a tincture with alcohol but I can't find anything to give my 3yo. Thank you! Sorry, don't know that one. Hi Dr. Aviva, I am wondering if you would recommend a multivitamin for toddlers (2-3 years old)? If so, are there any particular brands you like? I live in Canada so some brands are not as common here. Can someone please recommend liquid zinc for my 11 month baby? Something that doesn't have nasty chemicals added! Thanks for all the great info!! Is there a multi vitamin brand you would recommend for my 2 year old? And should he be taking a multi? Or just using the immune boosting vitamins you recommended? Thank you. Hello my daughter is in grade 7 and they are highly recommending to take the HPV vaccine Gardasil, i am not sure about it since all the side effects it may have, i would like to have some information and opinions about this vaccine, do you recommended? is it safe? Hi Susie, Some online companies do provider deliver in Europe and Asia (monsoons so assuming Asia). But it is tougher and so easier to often use dietary changes and standard vitamins and minerals, and look into local traditional medical practices (just make sure they're safe!) . MAny of my patients around the world have a relative living in the US, Uk, etc and have them order the products to be delivered to US, UK, etc respectively and then the relative will mail to the more remote location. Garlic, ginger, and many other helpful herbs can be found around the world quite easily.